The US Navy's program to build 12 new ballistic missile submarines at a cost of $100 billion will likely scuttle the Navy's total shipbuilding plans well into the future. Notwithstanding the alleged need for the US to have a naval presence akin to the once great British Empire ("the empire on which the sun never sets"), one could easily challenge Burke's statement that "there is no alternative to building the Ohio replacement." Burke simply parroted the standard language about "the importance of maintaining the most survivable leg of the nuclear triad to ensure the deterrent threat of U.S. retaliatory nuclear attacks." 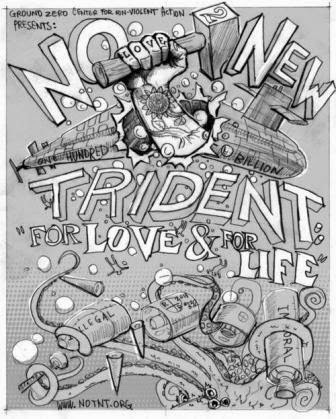 Trident was originally designed and built for a dangerous game played between the US and the (then) Soviet Union - Mutually Assured Destruction (MAD). This is a game we can no longer afford to play in a post Cold War world with so many serious emerging issues confronting us. It is time to change both our state of mind and state of heart. WASHINGTON -- A U.S. admiral on Tuesday warned that moving ahead with plans for a replacement fleet of ballistic missile submarines in today's budget environment would mean significant reductions to the rest of the Navy fleet. "The recapitalization of our SSBN force will impact our ability to fund investment in other future force structure," Vice. Adm. William Burke, deputy chief of naval operations for Warfare Systems, said at a Capitol Hill breakfast. "Navy has the resources to procure these national assets but doing so will pressurize our procurement accounts," he said of plans to design and build 12 new ballistic missile submarines that are to replace aging Ohio-class vessels due to begin exiting naval service in 2027. The Defense Department announced in 2012 it would delay by two years development of the successor generation of strategic submarines, which means the first vessel from the line will not be ready until 2031. The Navy projects it will cost roughly $5.6 billion each to purchase the second through 12th Ohio replacement vessels. The service is focusing on lowering that figure to about $4.9 billion for each submarine, according to a March Congressional Research Service report. The Obama administration in its fiscal 2014 budget request to Congress is seeking $1.2 billion in research, development, test, and evaluation funding for the new SSBN fleet, Aviation Week reported. The Navy is looking to expand its total fleet size to 300 vessels up from about 280 ships sailing today. "If we buy the SSBN with existing funds, we will not reach the 300 ships, in fact we will find ourselves closer to 250," Burke said. "At these numbers, our global presence will be reduced such that we will only be able to visit some areas of the world episodically." He did not provide details on what Navy ship deployments and global positioning would look like under such a scenario. Potential budget cuts under federal sequestration that could extend over a decade "will only make this worse, causing us to both reduce procurement as well as retire existing ships, leaving us with a Navy in the vicinity of 200 ships at which point we may not be considered a global navy," the admiral further warned. Some arms control advocates have called for the Navy to scale back its SSBN fleet renewal plans in order to save money. Building only eight new ballistic missile submarines instead of the current planned 12 and further postponing initial acquisition until 2023, would save $15 billion, according to the Washington-based Arms Control Association. 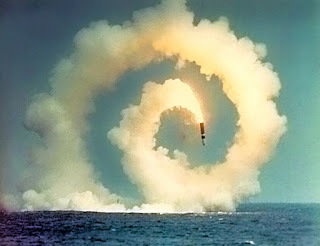 However, there is no alternative to building the Ohio replacement, Burke said, highlighting the importance of maintaining the most survivable leg of the nuclear triad to ensure the deterrent threat of U.S. retaliatory nuclear attacks.